Bruno was vomiting because he chew some grass from lawn and got infected. It was weekend so no doctors were available. I called one Vet and luckily he guided me to give him Charcoal tablets which I did. I stood on one leg and read 11 chapter 11 times praying to Baba for my Bruno. He started improving but he got reaction and was continuously restless and coughing. I sat whole night chanting Sai Sai and around 1.30 a.m. gave him Udi mixed with water. Within 5 minutes he stopped coughing and fell asleep. I was so happy.This is how our beloved Saimaa is. He saved and made my Bruno healthy with in short time.Thank You Saimaa, keep blessing us always. Love You Baba. Sai the most merciful is the mother of whole creation no matter how small and what creature it is. None can equal His love and nor can we fully understand His leelas always. Whatever little we suffer; little as Baba wants us to work out our Karmas and since Baba intervenes, the intensity is already made mild which we may not even understand always. 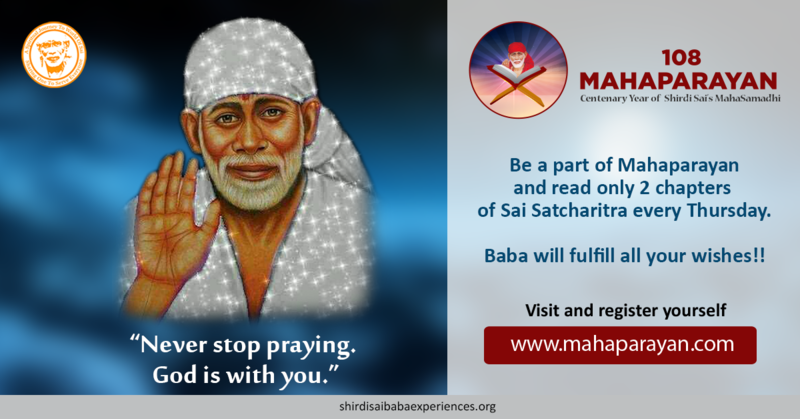 How we would have fared without Baba? Baba please keep guiding and blessing us always. We can never Thank You enough for Udi -The Panacea! Love You Saimaa. Jai Jai Ho Sai..!